I love everything about this portrait; all I did was have Francisco sit down and told Jennifer to stand next to him, and they did all the rest. 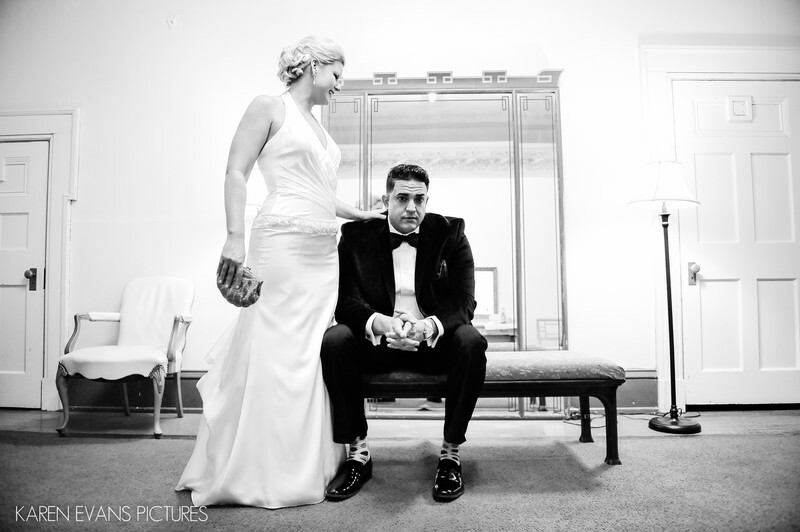 Their body language with each other is so interesting - I love how she is standing and the look on his face portends his nervousness about getting ready to walk up the aisle to be married. Lovely.Keywords: columbus athenaeum (105), columbus athenaeum small theater (33), downtown (246), winter wedding (78).